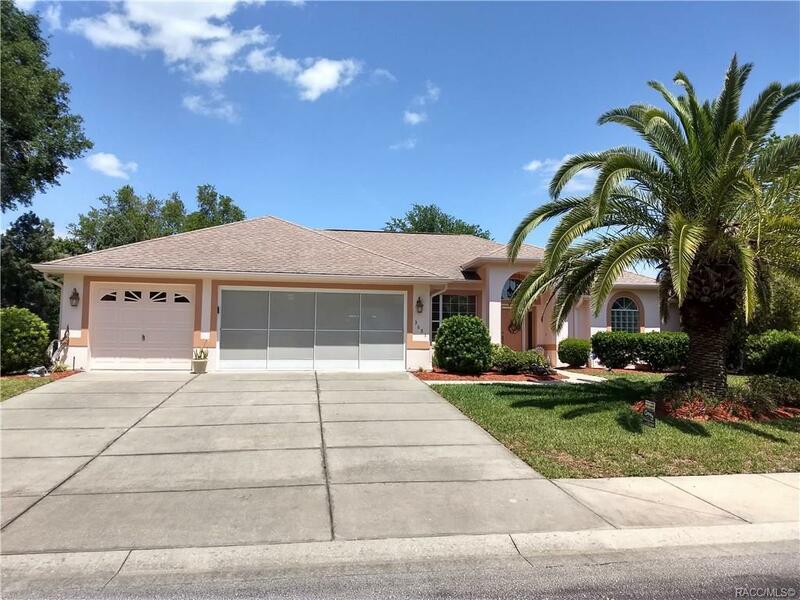 Gorgeous custom pool home in Arbor Lakes 55+ gated waterfront community. Home on prized dead-end street, with extra lot available for purchase. Spotless home. Bring your cars, trucks, boats, crafts - 3 car garage + 440 sq. ft finished workshop/craft! Large master suite w/tray ceiling, sliders to pool, & sitting area. Walk in closet, separate dual sinks, stall shower + tub. Gourmet kitchen w/stainless appliances, plenty of cabinets & counter space, vinyl hardwood floor, skylight. Bar opens to large eat in/nook area by windows. Enclosed Florida room with full sliders to pool area. Two bedrooms and bath split far away from master suite. New Trane air/cool. Screened lanai w/pool includes $10K resistance jets. Top quality build with extras too numerous to list. $75/mo HOA fee includes all community amenities: large solar heated pool, tennis, shuffleboard, private boat ramp, dock & pier w/gazebo, clubhouse w/fitness, billiards, kitchen, fireplace, full schedule of activities. Come in today!